BBK full-length H-pipes are designed as direct bolt on to factory headers or any aftermarket or BBK shorty headers for weekend track or race use. BBK full length H-pipes are designed as direct bolt on to factory headers or any aftermarket or BBK shorty headers for weekend track or race use. 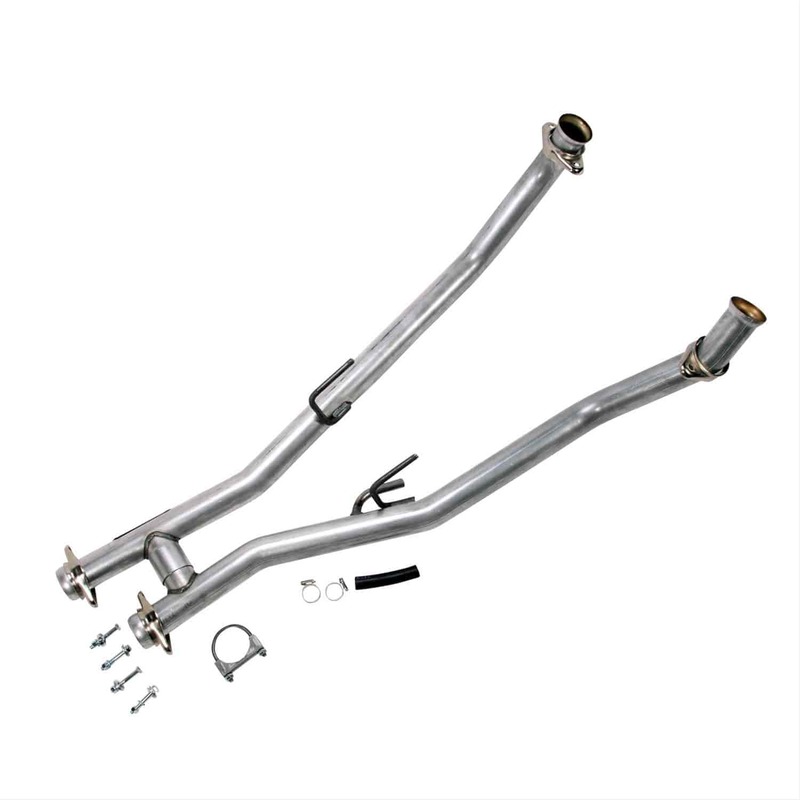 BBK Performance Parts Exhaust H-Pipes for Ford Mustang applications offer unrestrictive, free-flowing exhaust upgrade over stock for improved horsepower, torque and aggressive tone. BBK H-Pipes are made from CNC mandrel-bent tubing for lasting performance and use, and are a direct bolt-on for worry-free installation. H-Pipes are available with catalytic converters for smog legal applications or without catalytic converters for off-road use and max horsepower and torque gain. Catalytic converter equipped h-pipes are not legal for sale in the state of California and will not be shipped to California. Off-road h-pipes are ONLY for the purpose of off-road use. May require a tuner to switch off rear O2 sensors (pending application). Does BBK Performance Parts 1507 fit your vehicle?